Should the rowing community be looking to alternatives to weight limited classes for racing rowing? Thanks to Georgia who wrote this comment on our article Why Lightweight Rowing can be Dangerous. In a sport where height and lever length is everything, the focus is on weight! Take the focus away from weight and put it on a factor that is not a variable and cannot be influenced by training. Let the tall people be as light or heavy as they need to be to be a fully fit and healthy athlete. Then create a height-limited category – e.g. under 175cm for the rest of the general population. Will make for fairer racing for all? Definitely. Will make for a sport that is perceived as more accessibly to all? Hell yeah. Will mean that crews are not watching every calorie or taking extreme measures to make a weight limit? Absolutely. Interesting ideas. What do you think? Should we be considering alternatives e.g. for juniors. I know in Australia and New Zealand they allow lightweight categories for schools regattas – nowhere else in the world, I believe. Would a height limit be more appropriate, especially for growing youth athletes? This entry was posted in Lightweight and tagged crew lighties, Lightweight rowing, mens light rowing, women lightweights. This is a brilliant and easily achieveable idea. It could also be extended to adults say at 180cm as the over and under mark…. Height much more sensible. Totally agree. I think the height idea is great. I would like to see it in masters rowing also.In Australia at masters state and national events the same people win or place year after year which leaves no incentive for the under 175 cm height people to compete.The average competitor these days are competing against x elite and tall people. LW rowing is being phased out by the OCI because there is no equivalent in track and field or in other team sports. There isn’t basketball or 100m sprints for short people or shot put for skinny people. I have seen a very good point elsewhere that the issue was standardising the distance, which favours one body type, while diversifying the boat sizes. If we stuck to singles and eights and raced at, say, 1000m, 10,000 and (?) marathon distances we would see a much wider range of body types among successful rowers. Maybe the introduction of coastal rowing as an Olympic event will have a similar effect? Unfortunately height is not a fixed value in human body, varies some one or two centimeters during the day. I can easily imagine an 181 cm athlete sleeping in a standing position all night, maybe with some weight to press him down to get the required measurement value. Some years ago a letter from me proposing that height rather than weight should be used to differentiate crews was published in the ARA magazine (which is now Rowing and Regatta). That proposal arose from attending a presentation at a Coaches’ Meeting at St Paul’s School when at one time the diet of a well known lightweight female athlete had been found to consist solely of laxatives and Coca Cola. At 5’1″ and 118# I think this is a brilliant idea. Even rowing lightweight I am often rowing against people much taller than I am and the longer levers are a definite advantage that all my strength and endurance cannot make up for. There is no measurement that cannot be gamed, and none for which people will not undergo extraordinary privations in order to pass (vide the “size zero” controversy, or even — nearer to home — the ridiculous antics UK crews used to perform in order to avoid accumulating racing points). So, with respect to Mike DeP who’s right in theory, we simply have to choose the least worst, and that to me is height and not weight. It’s more relevant to power output, and it’s probably less easily gamed. We have many regattas for juniors in the USA that have lightweight events in all boat categories. We could have safe lightweight rowing if the adults in the sport would provide the proper supervision of weight loss programs similar to the program used by high school wrestling in the USA. An overreaction to a problem that does not exist , Because of few foolish young women trying to make Light weight limit when they cant .We have an overreaction to a problem that does not exist . period .It would seem in a commonsense approach that unless you reasonably close to the limit you are not going to make it,if you can want to put your self at risk by some ill concieved means to achieve the unachievable then you are foolish The sport should not be restructured because a few stupid people can not work it out themselves. Now we have proposals to exclude taller people from sport that they are naturally suited. We have lightweight rowing being killed at International Level ,now a proposal to exclude taller people,Total madness. Having weight limits as a basis for a rowing category can be be ripe for abuse in certain cases. And in the case of juniors, is it unhealthy for them to restrict their food intake while they are still growing. Recognizing this, USRowing convened a task force to discuss the problem and propose solutions. You will see at the bottom we have BMI index charts for boys and girls, where we determined that competing at a BMI lower than 20 was deemed unhealthy. Therefore, we do not recommend girls over 5′ 8″ or boys over 6’1″ compete as lightweights. Height is easier and less expensive to measure than body fat percentages, so it has some real advantages. Weight should also be monitored all during the season to ensure no extreme measures are needed to make weight for racing. Still under discussion is whether long-term we eliminate junior lightweight rowing altogether, and move to U13/U15/U17/U19, as most other countries have done. 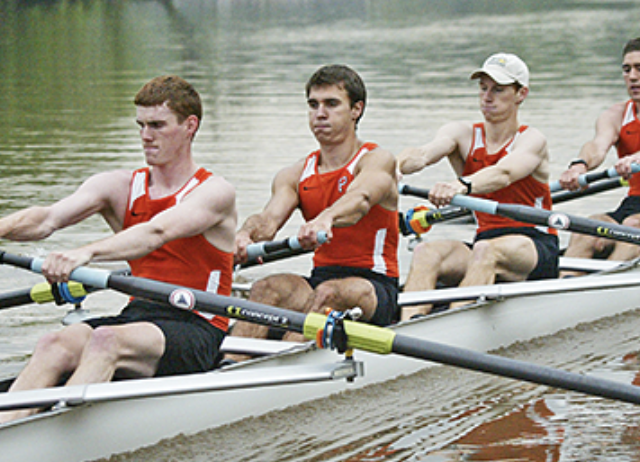 What if each rower’s set-up was adjusted to normalize the competition at lower levels? Leave highly competitive college+ levels alone. I can imagine the nightmare that composing policy to ensure fairness might be, but isn’t that half the issue? (Fairness and health are the two issues, correct?) Let the elite rowers progress beyond junior as usual because, well, they should. The image of an Olympic “skinny” shot put event put this into perspective for me…thank you, Dierdre. In response to Brian Colgan: it seems that the lower limit has been set too high for Juniors, possibly because the Task Force used weight-for-stature as a metric rather than BMI-for-age. As a nurse practitioner performing pre-participation physicals for student athletes, I became familiar with US BMI-for-age charts. I offer these comments based on my experience and research, and I hope you will consult with pediatric sports medicine experts to learn more. Children and young adults are not full-grown; even those who have achieved their adult height will continue to have a normal, growth-related increase in BMI. Timing of puberty affects body fat/weight, accounting for much of the BMI variation in teens. Thus, a BMI below 20 is not a reliable indicator of underweight status in children. The typical criterion used for underweight is a BMI-for-age below the 15th percentile. Also, the norms for BMI were not based on a wide sample, and don’t take population differences into account. In some populations with a later puberty or lower fat or muscle mass, BMI of healthy teens will be lower than the US charts indicate, with a risk of excluding athletes unnecessarily. Since standards for pre-participation physicals do not use a minimum BMI as a criterion for play, the consideration of this limit by the task force is surprising. The choice of 20 is a high one for children, eliminating over half of 14 year old girls and boys, and about a quarter of 18 year old girls and boys from competition. I believe the literature suggests any BMI consideration for Juniors should take age into account, perhaps by limiting children whose BMI for age percentile is below 15th percentile until further health evaluation . I suggest consulting with the Committee on Sports Medicine and Fitness of the American Academy of Pediatrics to review the implications of the Task Force’s recommendation to use a BMI of 20 without regard to age. I am so glad the sport is considering the health of children in rowing. Thanks! PK thanks for your expert insight. It’s clear that this is a topic warranting further investigation and, above all, recognition that a single number is not necessarily an indicative outcome.